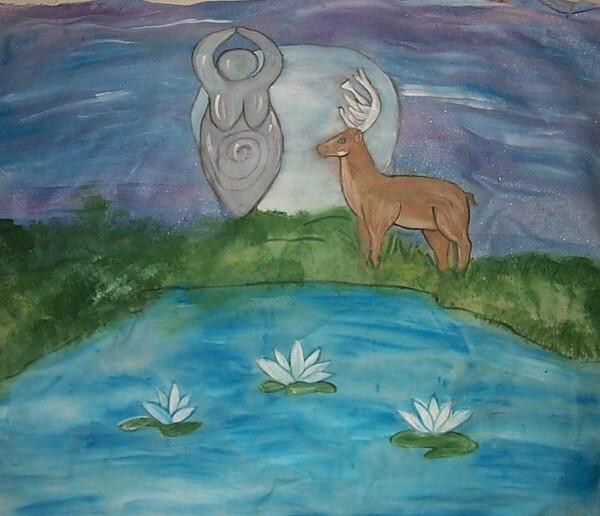 This is actually an altar cloth that I painted for a soldier in Iraq. It is done in acrylics on 100% cotton fabric. I know that this is not a fabulous picture the distortion is from the way I had it laying.